Recently my son has stopped having a nap in the afternoon. I know. It was a sad day I can tell you. And while I was kinda hoping he’d start again when he returned to playgroup after the holidays it would appears that’s not to be the case. Today’s new parenting issue is therefore that he is beyond tired by 2pm so when we were offered the chance to review The Lego Movie I thought it would be a good way to help us chill out in the afternoon and as the activities for children’s books that I shared recently were so popular I thought why not share some lego activities to do after you’ve watched the film? This lego slime from Lemon Lime Adventures was the inspiration to try our own sparkly star slime. Needless to say I love it! The lego printed thank you cards from The Imagination Tree are a super sweet idea. I’d love to receive these! Matchbox beds for your lego minifigs are an awesome idea from Kids Activities Blog and there’s a free printable so you can make some too! Octavia and Vicky’s lego marble run is a great activity to get kids concentrating! Fun at Home with Kids has some great ideas and this activity for learning symmetry with butterflies and lego is a great way to use your bricks! Toddler Approved’s feed the lego monsters game is so simple but looks like it would be a massive hit with my son. Crystal and Co’s lego marshmallow pops would make such a cute treat to eat together while you watch The Lego Movie! 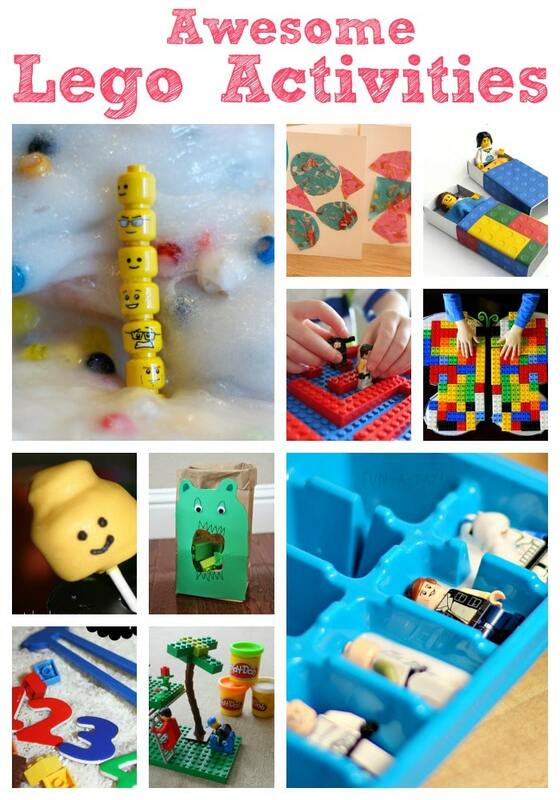 I love the look of this lego sensory bin from Little Bins for Little Hands which looks like a lovely calm activity. A Mom with a Lesson Plan has hit upon two of the most popular things round ours with her lego sculptures with play dough. Finally Fun-A-Day’s idea on teaching science using lego star wars figures is totally inspired. I love the look of this!! Of course anything that contains Batman in it is bound to be a massive hit round our house so the Lego Movie is great for us. The Lego Movie follows the adventures of ordinary construction worker Emmett who is found to be ‘the special’. Suddenly propelled to having to battle Lord Business to save their universe from being covered in crazy glue it’s a cute story that reminds you to let kids play and not just follow your rules. The Toddler loves it and the nice the nice thing about having the DVD at home as opposed to being at the cinema is that we can stop for important things like wee breaks or hunting for Small Batman who is inevitably under the sofa somewhere. Toddlers not always being known for their great attention span, it’s nice to be able to flick to the next (Lego Batman related) scene or we can always turn it off to return to later. As a grown up I can also say that I absolutely love the Lego Movie, the first time I saw it I was genuinely shocked by how good the animation is and it’s genuinely enjoyable to watch. As a woman who has to walk out the room if Postman Pat is on (‘Put him on a disciplinary! Inept Pat, inept! !’) having something that we can both enjoy watching is important. And obviously I loves UniKitty. But you knew that, right?!? If you liked these activities you should go check out Anna at In The Playroom’s top ten lego activities which are also super cool! Disclaimer: We were sent a copy of The Lego Movie to review by Suppose.com. All opinions remain my own. My girls and I love the Lego movie…..Such a fun, family film. 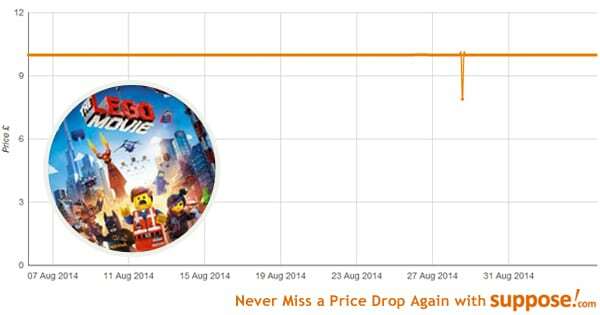 My kids love the Lego Movie – definitely the best film of 2014 (so far!) for them. The Lego activities look like lots of fun – the marshmallow pops are a great idea!